This workshop is an introduction into the wonderful world of encaustic. Encaustic is a medium of melted beeswax mixed with damar resin that is painted on a substrate or panel and heat-fused. You will learn the dos and don'ts of working with encaustic medium. We will cover the tools, safety, proper substrates (panels) and how to prime them. You will practice applying the melted wax and proper techniques for fusing the medium. 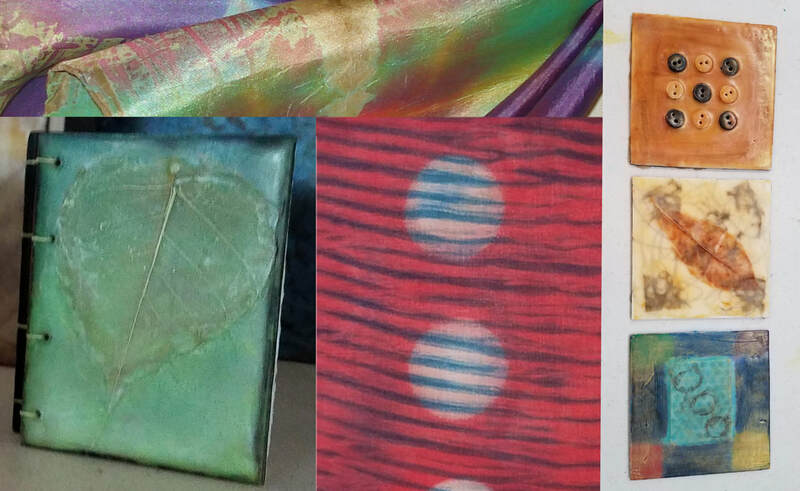 During this workshop, you will create several 6"x 6" panels, learning different techniques using encaustic medium, encaustic paints, oil paints and oil sticks. You will explore encaustic mixed media techniques to create a beautiful handmade Mini Art Journal. Encaustic is a medium of melted beeswax mixed with damar resin that is painted on a substrate and heat-fused. You will learn the dos and don'ts of working with encaustic medium. 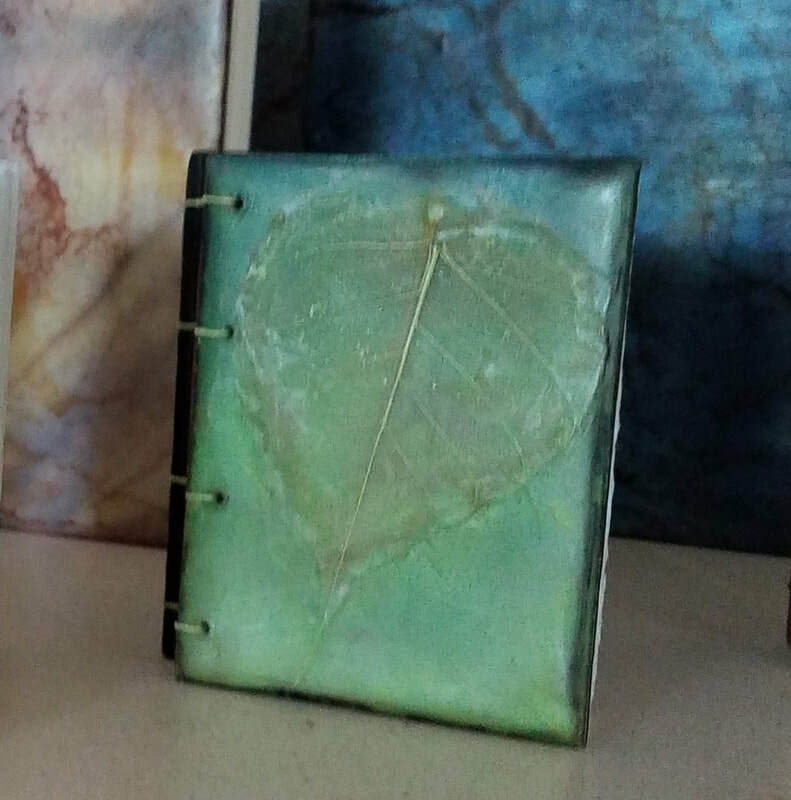 Next, you will learn the art of bookmaking, binding signatures to your newly created encaustic covers using a single needle Coptic stitch.